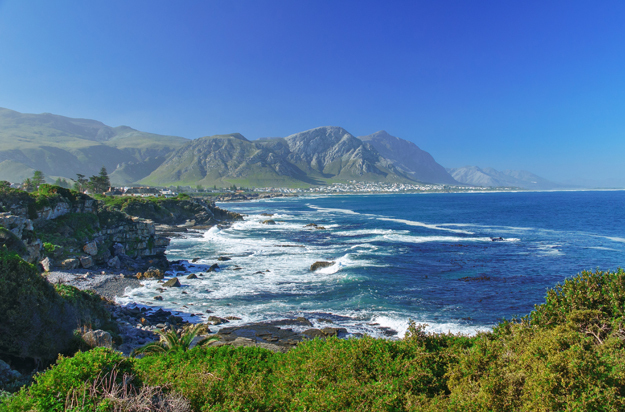 Situated in Western Cape, Hermanus is a South African town teeming with natural marvels. Known to be a great place for spotting whales, it attracts tourists from different parts of the world. Have a look at some interesting things to do here, before you plan your travel itinerary to this beautiful town. 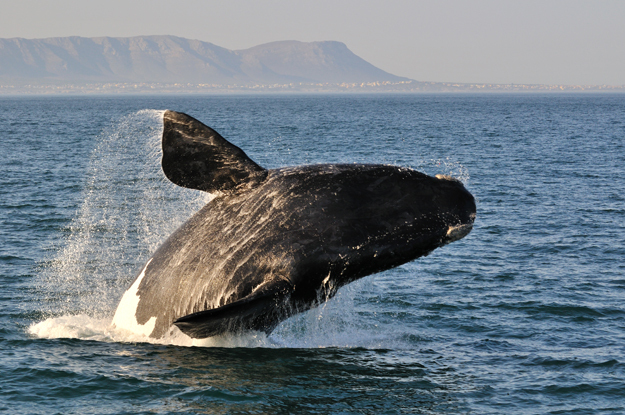 Hermanus is generally considered one of the best places in the world to spot whales in their natural habitat. There are several different species of whales you can see here such as the Southern Right Whale, Humpback Whale, and Bryde’s Whale. Orca, the killer whale, can also be seen, though rarely. Just lounge on the beach and chances are you will be able to spot a large whale. There are several whale-watching cruises being run from the beaches here, offering you an opportunity to spot these massive creatures from up close. Situated in the heart of Hermanus, the museum will acquaint you with all the best things about the art, culture and history of this wonderful little town. There are different sections of this museum, from open air displays to Fisherman’s Village and others, which you can visit. Popular for surfing, beachside picnics as well as lush green lawns, Voelklip Beach is one of the most popular beaches in the town, and people from all over the world visit here. The clearest blue waters will leave you mesmerized, offering you an opportunity to enjoy swimming and snorkelling. Located in Kleinrivier Mountains above Hermanus, the Fernkloof Nature Reserve is a great place to spot several species of flora and fauna in their beautiful natural habitat. Spread across 1800 hectares, different fynbos species are found here. There are beautiful hiking trails here that you can explore with your friends or family. Also, the views of Walker Bay from the reserve will leave you awestruck. Hoy’s Koppie is an isolated hill rising around 75 metres above sea level and remains a beautiful picnic spot, popular especially among the tourists. Formed about 440 million years ago, Hoy’s Koppie is mostly composed of quartzitic sandstone. 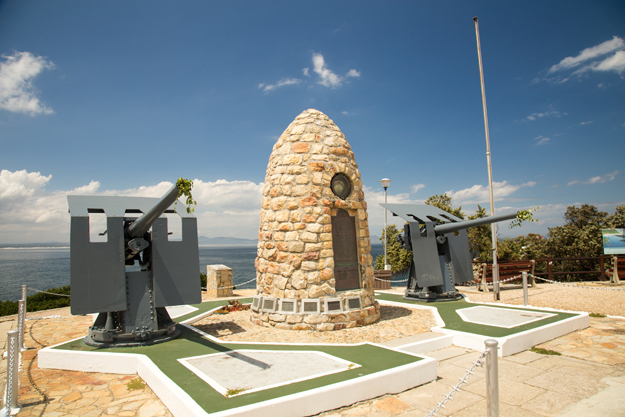 Enjoy incredible views of Hermanus, the Fernkloof Mountains and Walker Bay from the top of the hill. Blessed with picturesque natural beauty, the Walker Bay Nature Reserve consists of five different coastal areas, and remains one of the most interesting places to visit and enjoy sightings of different species of flora and fauna. This entry was posted in Cape Town, South Africa on July 27, 2018 by GM. There’s something about coastal cities that seems to have propelled them to the very top of tourism fame. Some of the world’s largest cities are all coastal wonders that have always been big hits with the tourists obsessed with sun, sand, and surfs! Keep reading and find out which coastal cities are the top picks among the Brits. Promising a blend of old city charm and modern opulence, Nice is a stunning beachside city in France. 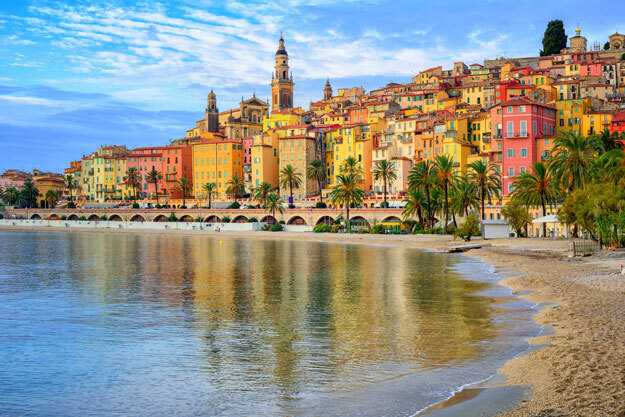 Located in the Provence-Alpes-Côte d’Azur region of the country, this town is famed for its pristine beaches, fabulous markets and glorious architecture. Blue, Neptune Plage, Voilier Plage and Paloma are the best beaches in the city, all perfect of seaside frolicking and enjoying water sports. Promenade des Anglais, Palais Masséna, Vieux Nice (Old Town), The Cours Saleya and Musée Matisse are among the top attractions in Nice. 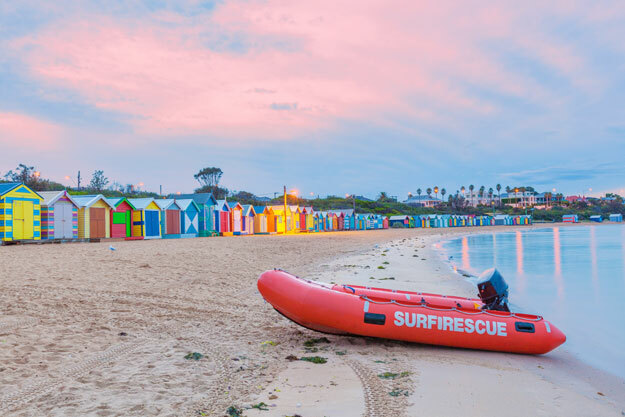 From unspoilt beaches to sparkling harbours and from lush gardens to attractive corals and hidden lagoons, Sydney is a beautiful coastal paradise. Nestled along the mighty Pacific Ocean, this city is teeming with a wide range of experiences for travellers who fly to Australia. 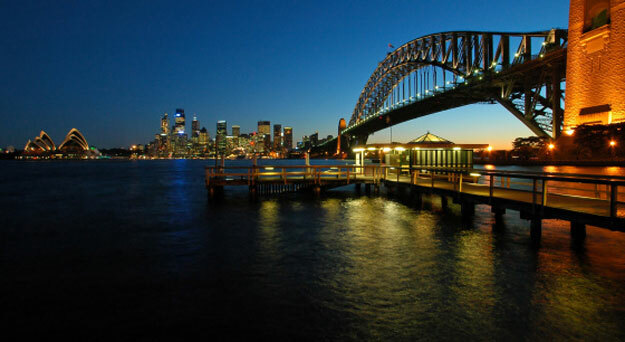 Harbour Bridge, Opera House, Darling Harbour, Port Jackson, Sea Life Sydney Aquarium, The Rocks and Hyde Park are some of the city’s major lures along with the beaches. Famed for its natural riches and never ending carnivals, Rio de Janeiro is one of the most popular travel destinations in the world. Featuring an extensive coastline along the Atlantic Ocean, this stunning coastal city is blessed with beautiful golden sand beaches, scenic surrounding landscapes and an amazing nightlife. Christ the Redeemer, Sugarloaf Mountain, Copacabana, Corcovado, Santa Teresa, Sambódromo, Botafogo and Rodrigo de Freitas Lagoon are the top attractions of the city. Barcelona is another beautiful coastal paradise in Europe. Founded as a Roman City the Middle Ages, the city is famous for its pristine white sand beaches, ancient structures, and traditional monuments and forts. Sagrada Família, Park Güell, Casa Milà, Gothic Quarter, La Boqueria and Tibidabo Amusement Park are among the must visit attractions in the city. Passeig de Gracia, Carrer de la Portaferrissa, Carrer de la Boqueria, and Carrer de Ferran are the thriving commercial and shopping hubs of the city. Perhaps the most beautiful of them all, Cape Town delights the travellers with the best of sun and sand. Located on the shore of Table Bay, the coastal city is famed for its unique skyline that’s punctuated by the Table Mountain that sits slap bang in the middle of the city. Kirstenbosch National Botanical Garden, Robben Island, Victoria & Alfred Waterfront, Two Oceans Aquarium, Lion’s head and Castle of Good Hope are the different city attractions that are visited in hordes. Boulders Beach, Long Beach and Muizenberg Beach are the top spots to have beachside fun. This entry was posted in Cape Town, South Africa on September 13, 2017 by GM. Beaches in South Africa are among the best in the world. The dramatic setting of the beaches here offers a unique seaside experience to travellers coming in from all corners of the globe. While there are plenty of impressive beaches in this country, heeding the cause of brevity we can only list some of the most popular ones among them. Situated in a tiny cove called Logies Bay, Llandudno Beach is a beautiful secluded beach in Cape Town. Renowned for its white sand, turquoise water and numerous hidden corals, the beach is ideal to indulge in beach sports and different other adventure activities. Several small restaurants and eateries, serving lip smacking food, line up the beach. Also known as ‘The Bay of Rags’, Lappiesbaai Beach is a stunning beach. Situated along the Garden Route in the town of Stilbaai, the beach is an ideal spot to relax under the sun and rejuvenate. Along with all the beachside fun and watersports activities, you can spot whales and dolphins here during the months of December and January. Camps Bay Beach is a famous Blue Flag beach in South Africa (Blue Flag beaches are operated as per strict ethics that respect the environment as well as the visitors). Camps Bay Beach is loved by the visitors for its sparkling blue waters, soft white sands, tall palm trees and the majestic mountains that stand in the background. The place has some exciting cafes and restaurants where tourists can enjoy great food and a warm environment. 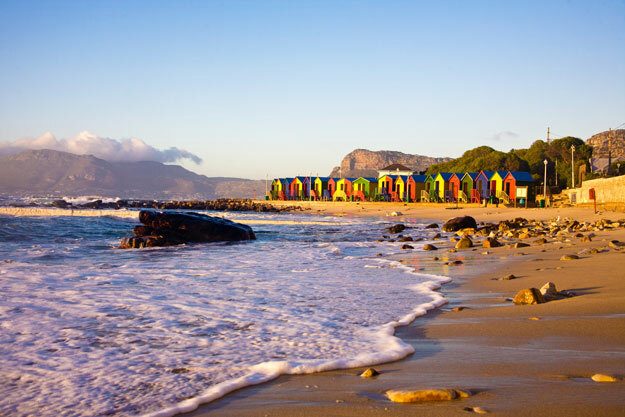 Stretching along the False Bay coast, Muizenberg Beach is a spectacular family beach in Cape Town. The beach has fine golden sand and balmy ocean water, making it easy for the visitors to enjoy different water sports activities, such as surfing, deep sea diving, scuba diving and kiteboarding. Gateway Shopping Centre and Sibaya Casino are the two tourist attractions here. Grotto Beach is another Blue Flag protected beach in the region. Located almost halfway between Cape Point and Cape Agulhas, the beach is perfect for those looking for a quick escape from the busy city life. Beachfront restaurants are best to enjoy traditional cuisines. Between September and November, Southern Right whales can be sighted from Grotto Beach. Situated near Port Edward, this terrific beach is quite popular among divers and surfers. Owing to the 90 million year fossil bed featuring fish, shellfish, plants and planktons, snorkelling is a favourite activity among the guests here. Treat your taste buds to freshly prepared seafood and other traditional delights at the beachfront restaurants and eateries. Located in the beautiful resort town of Margate, KwaZulu-Natal, Lucien Beach is a splendid Blue Flag beach. Due to the warm ocean waters along the Hibiscus Coast, swimming is the most enjoyed activity here all throughout the year. Spotting whales and dolphins during the winter months is quite an attraction among the visitors. Small tuck shops, selling handmade goods and paintings, can be visited by tourists who wish to buy some sort of souvenirs of their holiday in this beautiful country. This entry was posted in Cape Town, South Africa on July 28, 2017 by GM. It was on 2nd February 1659 that Commander Jan van Riebeeck wrote an entry in his diary reading: ‘Today, praise to be God, wine was made for the first time from Cape Grapes’. This was the beginning of producing wine in the coastal city of Cape Town. Today, the city is known to produce a wide range of world renowned wines. A perfect destination for the wine lovers, Cape Town has some well known wineries. Read on to know about them. Nestled between two mighty ocean bodies, Saxenburg Wine Estate is home to the award-wining Shiraz. The estate produces a wide range of wines, crafted using a combination of finest ingredients and other elements. Wines at Saxenburg are a collection of three different types including the Guinea Fowl, Private and Vintage collection. The Vintage Collection has some of the finest Shiraz produced in South Africa. Visitors can enjoy award winning wines in the most relaxed atmosphere at the wine tasting events and excursions organized by the estate. Situated on the Stellenbosch Wine route, Zevenwacht Wine Estate is a 300-year old leading wine property in South Africa. The estate is known for producing a distinguished range of wines, crafted using unique ingredients and modern technology. Wines at Zevenwacht include the famous Chenin Blanc, Pinotage, Sauvignon Blanc, Merlot, Cabernet Sauvignon and Syrah. Tourists can enjoy a tour to the estate cellar for a firsthand experience on the mechanism behind the transformation of grapes to fine wine. Wine tasting events are a regular feature at the estate. Nestled amidst the ranges of Helderberg Mountains, Lourensford Wine Estate is a beautiful wine property in Cape Town. Originally founded in 1700, the massive estate is known for featuring a vintage collection of wine created and crafted using authentic flavours and rich aromas. Popular wines at Lourensford include Sauvignon Blanc, Chardonnay, Merlot, Shiraz and Sauvignon. Guided hikes to the nearby grape farms along with mountain biking to the manufacturing units are organized by the estate for the visitors. Altydgedacht Wine Estate is one of the oldest wine farms in South Africa. Established in 1698, the estate is known for featuring a 300 year old wine cellar along with an open air restaurant serving some of the best homemade wines. Manufactured using traditional ingredients and modern methods, some of the well-known wines at Altydgedacht include Cabernet Sauvignon, Barbera, Pinotage, Sauvignon Blanc, Weisser Riesling and Merlot. There’s an in-house tasting room, offering visitors a chance to enjoy best in class wine. Located on the slopes of Bottelary Hills, Hartenberg Wine Estate is another famous wine property in the city. Established in 1692, it is well known for featuring a wide range of award winning wines. Classified across three categories, wines at Hartenberg include the popular Chardonnay and Riesling. The onsite underground cellar is one of the largest privately owned cellars in South Africa. Most tourists visiting the estate take up field tours to the nearby grape farms or enjoy wine tasting from a wide range of specially brewed wines. This entry was posted in Cape Town, South Africa on March 21, 2017 by GM. South Africa is a vibrant destination and turns all the more dynamic during the annual events and festivals, when the country’s colourful cultures, traditions, and customs dazzle one and all. We have mentioned a few of such celebrations below. Join them and have fun like never before! Up The Creek Festival is an enjoyable event in which bands play from a stage on the river banks. Some of the many performers playing this year round will be Dan Patlansky, The Black Cat Bones, Rubber Duc, Albert Frost, Ben Dey and the Concrete Lions, The Kiffness, and Gerald Clark. There’ll be three stages: Main Stage, River Stage, and Late-Night Stage. None of them display acts simultaneously. This means, the audience will not miss out on anything! Cape Town Motor Show brings together ‘a well-respected group of individuals with vast experience and knowledge across a plethora of media and events that includes outdoor adventure and travel, music festivals, business and entertainment.’ As the name suggests, this exposition showcases cars, motorcycles, trucks, and city emergency vehicles to the visitors. Cape Town Motor Show is not restricted to automobile enthusiasts and is open to people of all age groups. Get ready to check out some of the best wineries showcase their products! Winemakers such as Grande Provence, Haute Cabriere, Solms-Delta, Black Elephant, Bellingham, La Bri, Rupert Rothschild, and Boschendal will quench your thirst! The dress code of Franschhoek Summer Wines is white to signify elegance. Participants can pair their favourites with mouth-watering food from the rotisserie kitchen. The Cape Town Sixes Cricket & Culture Festival aims to take sporting events to greater heights by merging sport, music, food, and social development in the townships of the Western Cape. The music that’ll play here includes the country’s top and upcoming acts. For hunger pangs, ‘Food Village’ offers a world of choices. Needless to say, the well-stocked bar loaded with ice cold beer, cider, gin, and wine also await you! Previously called the ‘Cape Argus Cycle Tour’, the Cape Town Cycle Tour is a globally famous bike race, which grabs the attention of cyclists as well as tourists. The race starts in City Bowl and after covering several points, ends at the Green Point Stadium. Thousands of volunteers ensure that Cape Town Cycle Tour runs successfully. This entry was posted in Cape Town, South Africa on January 12, 2017 by GM. Colourful Festivals in South Africa! South Africa is a country that mesmerizes travellers from the word go. In fact, most people who holiday here only have great things to say about the destination. While its diverse cultures, beautiful beaches, and scenic mountains are the top draws, the nation also stands apart due to its excellent festive scene. From Cape Town to Johannesburg, every city plays host to a number of big festivals. As they say, South Africans just love to get together for a cause, and more often than not that cause is celebration. Especially the months November and December see many big events and festivals taking place, some of which we have listed here. Surprisingly one of South Africa’s biggest festivals takes place in a small town named Ficksburg. The festival celebrates the high revenue grossing cherry crop. Ficksburg Cherry Festival is more than 45 years old, and is attended by more than 20,000 people annually. From tasting cherry wine, eating exotic varieties of cherry to watching Friesian horse performances, there is a lot to enjoy here. The festival is all the more popular amongst music buffs. Before Facebook was born there was a festival that got old friends together quite successfully. All you had to do was attend the Old Mutual Kirstenbosch Summer Concert at the Kirstenbosch Botanical Garden, a festival that celebrates the reunion of old friends and colleagues. With live performances by major bands, delicious meals at the lawn, and plenty of nostalgic moments to discuss, this is certainly one of the most innovative festivals in South Africa. A rocking festival before the New Year celebrations begin, ‘Rustler’s Valley New Year’s Gathering’ is held every year in Eastern Free State. The festival features a line up of dances, drumming performances, and great food for the spectators. To top it all, the astounding view of the Maluti Mountains certainly adds beauty to the whole experience. One of the most lively festivals, you just have to attend it for sure. This entry was posted in Cape Town, South Africa on October 30, 2015 by RM. If you are among those who love to picnic in the backdrop of lush greenery (and did we say near a great winery?) and blissful serenity, Cape Winelands have several perfect options for you. Those who have booked tickets on flights to this beautiful part of South Africa should certainly try picnicking at some of these places. For those who are wondering where to start, here is a quick peek into just three of the most popular picnic spots. Considered to be one of the oldest wine farms in the Cape, Allée Bleue is a gorgeous place that offers an amazing spot to picnic. While the refreshing views will definitely keep the guests in good spirits, it is the hospitality and the scrumptious food that makes the picnic so perfect. Pick up your favourite bottle of wine as you look at the beautiful vineyard, and try the ciabatta with smoked chicken and mayonnaise – a happy time is surely guaranteed! This is arguably the most favourite picnic spot in the Cape Winelands. The elegant Cape Dutch farmstead and winery outline the lush gardens where you can book your picnic. The elegant tables beneath oak trees take the ‘picnic’ term to a next level of sophistication. Picnics are always served in baskets packed with cold meats, meatballs, cheeses, salads and much more. There is also a special arrangement for kids. Family travellers who have booked flights tickets to Cape Town and are visiting Stellenbosch should definitely consider picnicking at Spier. There are a number of picnic options you can choose from. Those who prefer a gluten-free meal and often have to say ‘no’ to many picnics can simply choose to opt for Gluten-Free Picnic. It includes farm cheeses, homemade hummus, gluten free crackers and much more. There is also a customized picnic for vegetarians. Those who wish to enjoy wholesome food can choose Relaxed Picnics. This entry was posted in Cape Town, South Africa on November 17, 2014 by GM. Top 3 Adventure Activities One Must Enjoy While Holidaying in Cape Town! Crammed with gamut of tourist attractions, Cape Town fits the bill of millions of international holidaymakers buy flights tickets to South Africa. Be it natural, historical or cultural attractions, the city offers a resplendent array of charms that suits the taste of every traveller. There is also panoply of extreme adventure activities in Cape Town which remain immensely popular amongst the adventure lovers. Have a look at the prominent ones which tick all the right boxes to fit the desires of holidaymakers netting flight tickets to Cape Town. One of the most thrilling adventure sports that top the travel itineraries of adrenaline seekers grabbing air tickets to Cape Town is Dune Surfing. This exciting fun activity allows the visitors to explore the Atlantis Dunes, 40 km and Betty’s Bay 85 km away from Cape Town aboard sophisticated boarding vehicles. The entire region around these two locations is crammed full of well experienced surfing tour operators who help you with all the basics and safety. Adventure freaks may even cruise down the peaks like pros and make the best of their South African holidays! If it’s the open sea that tickles your fancy, Scuba Diving in Cape Town is just the place to book tickets for! The coast of Cape Town brims with a wide plethora of scuba diving schools which provide all the course entails for two regular days of theory lessons followed by practice in the pool and two more days for some dives in the ocean. Most schools serve on the Atlantic side in Hout Bay and on the semi-Indian side of the ocean, on Windmill Beach near Simon’s Town. These two locations are indeed amongst the best prerogatives to start exploring the wonders of the ocean. The city of Cape Town prides itself with over a hundred caves in the Cape Peninsula itself. The caves here widely range from small overhangs to deep cracks in the mountain and are well capable of delivering a fascinating experience to the visitors. The concerned authorities have come up with cave explorations, organized on the first Sunday of every month. This is an amazing and unique way to explore all the nooks and crannies of the mountain in a safe manner. The activity is entirely free for both locals and global travellers. This entry was posted in Cape Town, South Africa on September 15, 2014 by GM. The snaking roads that lead to some of the most exquisite destinations in the world converge in the city of Cape Town, South Africa. The city has recently been honoured with some fine accolades like the World Design Capital and ‘the best place in the world to visit’ by The New York Times. However, what poses as a question for most travellers who book flights to Cape Town is the best possible way to explore the city so as not to miss out on the any of the multifarious attractions that lie in wait for the beholders. This is when Flydrive Holidays come as a pleasant and feasible solution for most travellers. 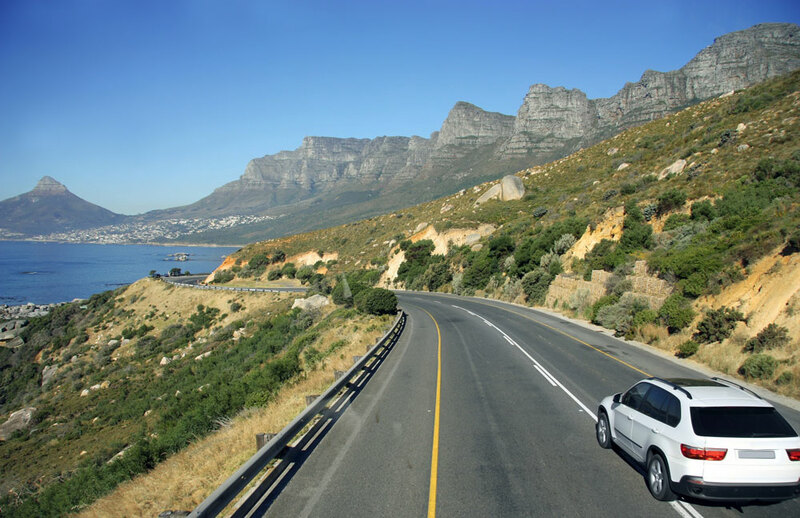 Many visitors who book tickets to Cape Town are delighted at the prospect of multiple choices that are on offer when it comes to exploring the city by road. The convenience of travelling with a private vehicle cannot be emphasised more. Travellers who book flights to South Africa often look for a flexible holiday as the nation has a lot to offer in terms of experiences and visual delights. In Cape Town, the idea of a Flydrive Holiday can be easily conceived and implemented as there are many travel companies that facilitate such tours. Not only do they provide a preferred vehicle, but they also take care of travellers’ woes by offering 24*7 roadside assistance. Their services also include some priceless tips on the best places to see and explore in Cape Town. Many tourists who book tickets to Cape Town for a Flydrive holiday include some of the most divine beauties of the city in their itineraries. The vineyards of Stellenbosch and Franschhoek, the Cape Peninsula and the Garden Route National Park are some of the favourite paths that most Flydrive holiday makers embark upon. A thrilling ride is well complemented by some truly unique experiences like wine tasting, beach hunting and basking in the lap of nature away from the cacophony of the city. Travellers who book a Flydrive holiday get the chance to explore every nook and cranny of Cape Town and it is in these esoteric places that one finds the best of everything. This entry was posted in Cape Town, South Africa and tagged Cape Town, South Africa on August 13, 2014 by GM. Holidaymakers, especially sport enthusiasts who have booked flights to South Africa’s Cape Town and are in the city on 18th and 19th this month have got another reason to get charged up! The Old Mutual Two Oceans Marathon, arguably world’s one of the best sporting events and that excites locals as well as international athletes, is starting on 18th April. The two day event will wind up on 19th April. The journey of this popular sports event started in 1970. Eventually Old Mutual Two Oceans Marathon has become one of the world’s most popular marathons, with more than eleven thousand runners participating in the Ultra Marathon and more than sixteen thousand competitors taking part in the Half Marathon of this year. In initial days, runners used to run fifty six kilometres, participants of Half Marathon used to cover twenty one kilometres and other fun runs used to take place. And during these forty four years of time span, South Africa has witnessed many locals to get the winning title. Apart from the professional participants, Two Oceans Marathon welcomes amateur sport lovers as well. One can take part either in the ten kilometres trail or twenty two kilometres trail which will take one through the lower slopes of Devil’s Peak and the forests above the University of Cape own. Though these runs are more popular among the beginners, experienced athletes are also found to accept the challenges to win against the rocky steeps. Besides, a series of International Friendship Run also take place at the rugby fields of the University of Cape Town. Apart from the grand sport events, the Two Oceans Marathon Initiative offers a fantastic way to give something back to the community by fund raising for education and sporting needs of children as well as environmental issues involving parks, flora and fauna, as well as animals and marine creatures. Sport lovers and tourists who arrived on flights at this beautiful metropolis of South Africa and planning to stay in Cape Town during the weekend can visit the Annual Expo, arranged by Old Mutual Two Oceans Marathon and get a deeper insight on the sport’s trends, latest news on outdoor adventures; buy sport apparels and nutritious supplements etc. This entry was posted in Cape Town, South Africa on April 18, 2014 by GM.